Auschwitz was the most lethal of the German concentration camps, but also, given the vast numbers of people deported to it, the one with the most survivors who escaped the Nazi massacre. 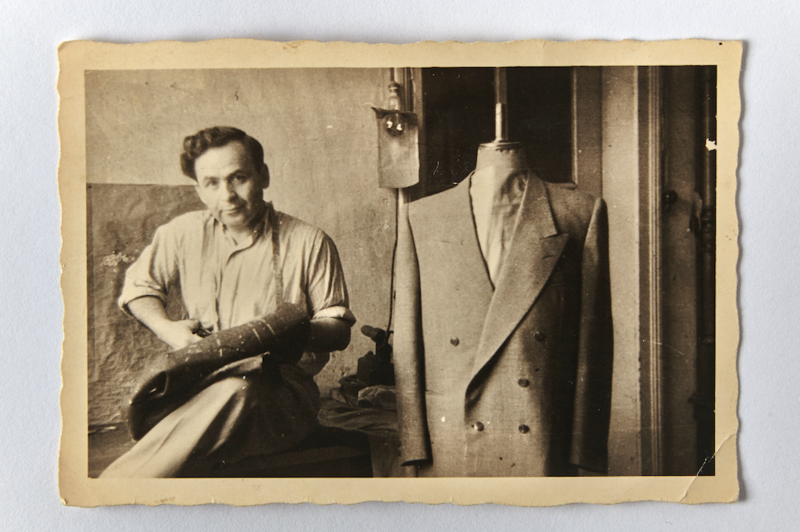 The Jewish tailor of Polish nationality Jakob Grünbaum was one of them. After the forced Aryanization of his small atelier on ulica św. Gertrudy 17 in Kraków in early 1940, he was confined in eight concentration camps in barely four years. After liberation, he ran into the harshest of realities: He had no job or home to return to, and none of his closest relatives had survived, so he decided to emigrate out of Poland and begin a new life in Altötting, a town in the German region of Upper Bavaria, where he would soon establish a new atelier. 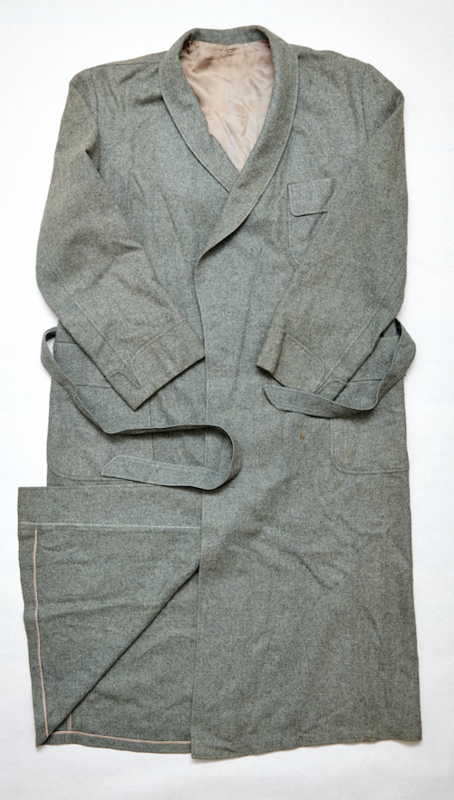 As chance would have it after the war, the US Army found in a local monastery used as a warehouse by the Nazis some bolts of the woolen Feldgrau (field-grey) used to make the mythical Waffen-SS uniforms designed by the German Hugo Boss and gave them to the new tailor in town. 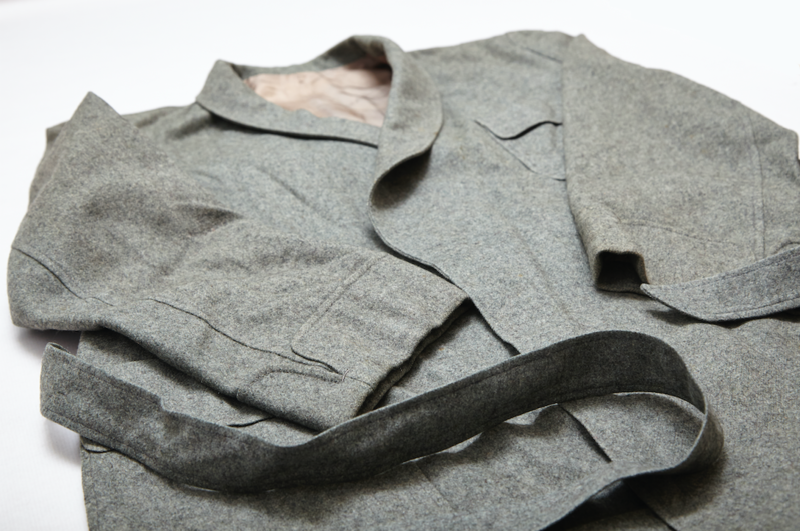 He did not turn them down, but made a pattern that harkened back to the easier days before 1939 and cut and fashioned a comfortable woolen robe of which he made use the rest of his life. Like Grünbaum, many Auschwitz survivors not only did not want to forget what happened but also decided to bear it vividly in mind on a daily basis, as an homage to victims and at the same time, as a reminder of the consequences of hatred and intolerance.